When you’re looking at places to stay, we know you want to save money. Vacations are a time to experience new and exciting things, and you want to save as much money as possible so you can try new things without worrying about the cost. Cost is where we stand out from other hotels! We’re one of the best priced hotels in Pigeon Forge, and we’ve got 5 reasons why you should stay with us and get all the amenities you need at no extra charge. 1. We’ve got the special deal to fit your needs! We always have some kind of a special running, whether it be a pre-booking discount or a last minute deal, we’ve got the perfect special for your needs! That’s how you know we’re keeping your wallet in mind, because we have a variety of deals you can take advantage of. You can check our current deals here! 2. We’ve got an awesome location! With our location right on the Parkway, not only will we be easy to find when you come into town, but you’ll only be minutes away from some of Pigeon Forge’s biggest attractions! If you want to save on gas, you can walk to some attractions or catch a ride on one of the trolleys at a nearby trolley stop. Plus, Dollywood is only a short drive away! You won’t have to worry about finding somewhere to park when you stay with us! We have free parking in a covered lot to protect your car from the elements. The cover is also nice if you decide to take a trip to Gatlinburg one day. Your car won’t be too hot for you and your family when you hop in either! We know everyone wants to limit their data usage, especially when they’re on vacation. So, we provide free wi-fi for all our guests. Now you won’t have to worry about running out of data when you upload your cute family pictures or try to update your status on facebook. Plus, if your kids tend to stream videos more than they should and eat up data, this will be a great way to keep your usage low and your kids happy! 5. We have a pool and hot tub for your convenience! For those days when you want to stay in and enjoy the sun, we’ve got an outdoor pool and hot tub for your convenience! Your kids will love this, and if they have some excess energy at the end of a long day, take them to the pool and enjoy a soak in the hot tub while they work off their extra energy. It’ll be great for everyone! There are so many other reasons we’re the best priced hotel in Pigeon Forge and we know you’ll enjoy your stay with us. 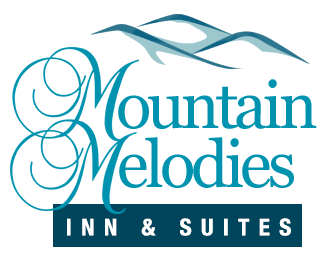 Click here to take a look at all of our Pigeon Forge hotel rooms and rates to start planning your vacation to the Smokies!